PAWS plans to print a series of note cards with animal photos. This is a chance to submit your pet’s photo for one of the card faces and share their personality with the world. Once in print, the note cards will be made available for purchase to the general public. Card proceeds are used to support the PAWS spay/neuter program. Photos can only be accepted when submitted using the form found on this web page. You may submit a photo of any pet animal. If you do not own the animal you must have the owner’s permission. By submitting a photo you are acknowledging that you have full and complete rights to use the photo that is being submitted. 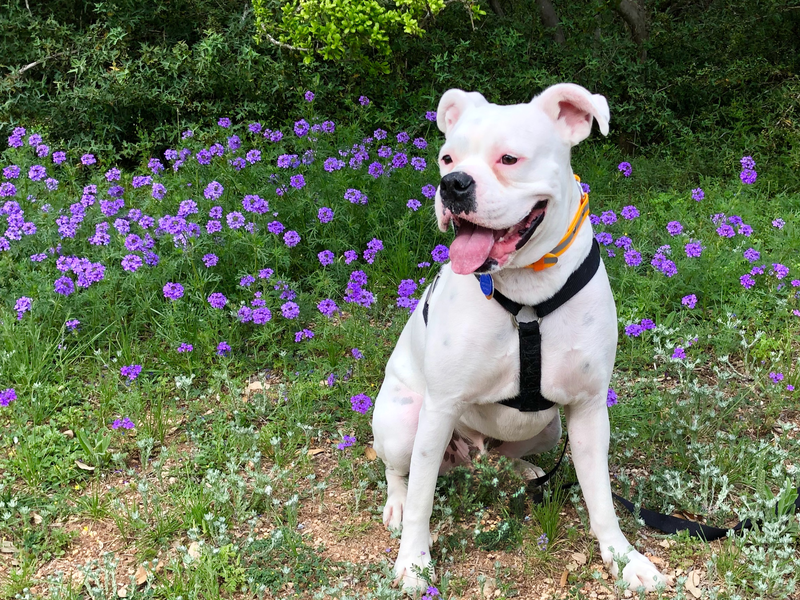 By submitting a photo you are specifically giving full permission to Pedernales Animal Welfare Society to use your photo in any appropriate PAWS presentation when necessary. Submissions must depict the current photo theme: Wild Flowers. Winning photos will be selected by the PAWS board of directors. By checking the box to the LEFT: I grant permission to the Pedernales Animal Welfare Society for the use of the photograph or electronic media images attached above to be used in any PAWS presentation of any and all kinds. Images will be kept as long as they are relevant and after that time destroyed or archived. I also consent to having this PAWS store this submitted information for contact purposes. I understand that I may revoke this authorization at any time by notifying PAWS of my wishes by means of registered USPS mail. The revocation will not affect any actions taken before the receipt of this written notification. You will retain ownership of the digital media but you are donating full permission to PAWS to retain and use your submitted information as necessary until it is no longer needed by PAWS.